Sad news. The great TV actor and star of Danger Man and The Prisoner, Patrick McGoohan, has died. He was also very good in one of my favourite Alistair MacLean films, Ice Station Zebra - a movie that Howard Hughes was said to have watched hundreds of times in his private cinema. What I didn't know, and this obituary shows, is that McGoohan was also an intelligent writer and director, who turned down the role of James Bond in Dr. No, because of its sexist and thuggish nature. Impressive. I'll have to watch Ice Station Zebra. Good to know that McGoohan was a good person. 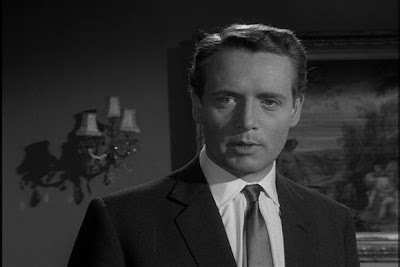 My understanding is that the famously talented and avowedly brilliant Patrick McGoohan refused the offered roles of Simon Templar (TV series "The Saint") and James Bond 007 mainly because the parts required kissing and some elements of love making. McGoohan made no secret of his deep devotion to his wife to whom he was faithfully married for 58 years and rejected these parts in deference to their nuptial relationship. One notes that McGoohan never heatedly embraced much less kissed a woman in any episode of either "Danger Man" or "The Prisoner."